management in their day-to-day work system. Overseeing, as well as maintaining, your web servers is important to prevent potential loss of data, breach of security, and poor computer system performance. However, while this process is vital for your business, you don’t have to do it for yourself— or even hire extra onsite manpower for this job. 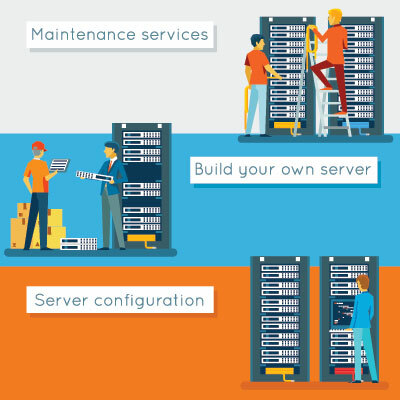 We can help you with that, because here at HoustonTech, we offer a dependable and affordable server management service. HoustonTech’s professional team can manage your business’ daily server operations, as well as constantly update your systems, detect and fix issues beforehand, back up important data, monitor server health checks, and make sure that your units are working optimally. With our server management service, we will also implement the use of firewall, intrusion, and anti-DOS settings to prevent potential attacks to your system. Let the experts here at HoustonTech manage your servers! Give us a call at 832-630-4986 from Monday to Friday, 07:30AM-07:00PM, and let’s discuss the best server management solutions for your business.